How do celebrities obtain brilliant white smiles that are always ready for the red carpet or a close-up? Do they avoid coffee? Not likely. Every star-watching magazine is full of pictures of famous people holding Starbucks cups. Do they avoid tobacco? Some probably do, but many actors and fashion models with dazzling white smiles are smokers. Very few people (famous and non-famous alike) with perfect teeth were born with them. (…Sure, no one is born with teeth, but you know what I mean.) Celebrities have perfect smiles because they have undergone cosmetic dentistry. Guess what? You can also have a smile like a supermodel or television news anchor because Dr. Brett Felton at Felton Dental Care has as much experience and training in advanced cosmetic dentistry as any Hollywood cosmetic dentist. Dr. Felton has been providing smile makeovers for Missoula and Wye dental patients since 2007. Tooth whitening is the most affordable cosmetic dentistry procedure in Frenchtown. Tooth bleaching quickly perks up your teeth and makes you feel like smiling all the time! Porcelain veneers are used often in Orchard Homes cosmetic dental offices because they correct many problems including misshapen teeth, cracks and chips, and discolored teeth. Teeth that have been worn down extensively can also be repaired with veneers. Preparing a tooth for a porcelain veneer is minimally invasive. The latest veneers do not require the removal of healthy enamel. Another plus: veneers are usually less expensive than complete crowns! Tooth bleaching and veneers are just two of the many cosmetic dental procedures performed at Felton Dental Care. 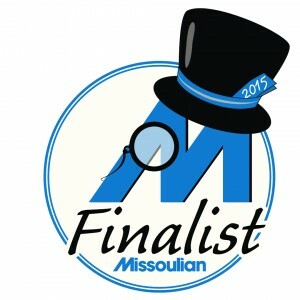 Schedule a Missoula cosmetic dental consultation today by calling 406-728-0896. At our office, you will always receive VIP treatment, without the annoying paparazzi! We look forward to helping you achieve a celebrity smile. Hey, Missoula, Smile Like You Mean It!